Designed for anyone seeking to spend their organization's time and money wisely, this guide breaks out what you need to know to run cost effective and productive meetings. 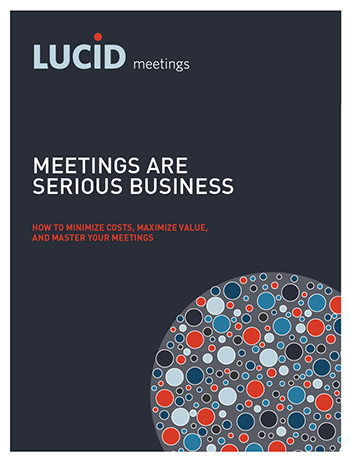 "This e-book is a concise response to those who think meetings are a waste of time. They often are, but they don't have to be. By helping us focus on how to get the best ROTI (Return on our Time Invested) the reader can make immediate, practical changes and get more done." "The impact of poor meetings is often overlooked and misunderstood. The idea to measure the cost is a great one and really makes people think, and the four keys to meetings people won't hate are inspired and would make a great difference to most organisations."